Promo render for Variety Poses for Lee 6 by Lunchlady: SEE PRODUCT IN STORE HERE! 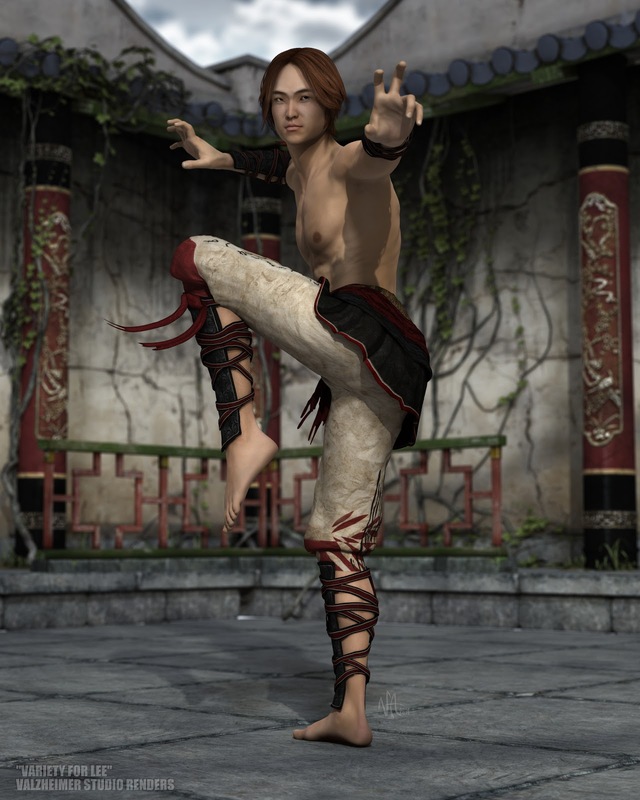 Resources: Lee 6, FW Ja-Long HD for Lee 6, Casual Hair for Genesis, Luminous for Casual Hair; Variety Poses by Lunchlady; Fighting Monk for Genesis 2 Male; Stonemason's Streets Of Asia, Skies of Economy. All other scene, and materials customization by VAlzheimer Studio.